From the brilliant minds that earned Decatur’s Kimball House a James Beard nomination for its bar program, this airy spot in a corner of Krog Street Market evokes a more youthful but no less impressive vibe. Beneath the tendrils of greenery that cascade from the ceiling and against a colorful design palette (those mint-green barstools! those high-gloss kelly green tabletops! 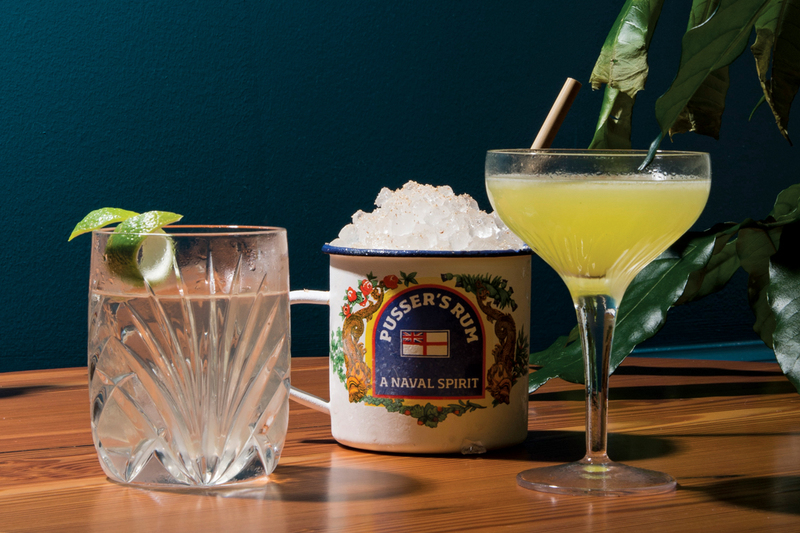 ), bar manager Adrian Fessenden-Kroll and her cohort shake daiquiris, pour fizzy highballs, and swizzle up tiki classics like the Ti’ Punch to perfection. The bar’s eponymous house drink, a martini-ish sipper with verjus and Chartreuse, is served with a selection of garnishes, choose-your-own-adventure-style, from briny olives to a curl of lemon peel—any of which, incidentally, make an ideal foil to the menu of sustainable, mostly reasonable oysters.